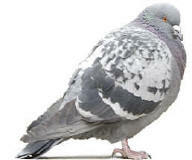 We specialize in Residential and Commercial pigeon control and bird control, providing you with a well trained, knowledgeable and experienced service staff that can satisfy your needs when dealing with the concern of bird infestations in and around buildings or structures of all kinds. If it's one story or a multi-story building or structure we can help you. Over the years our exclusion work has included over 4500 + Homes, Churches, Multi Story Parking Garages, Aircraft Hangars, Cell Sites, Libraries, Casinos, Office Buildings, Warehouses, Freeway Under Pass's, Billboards, Apartments, Loading Docks, Gas Canopies and many, many other locations where pest birds have become a health issue or a problem. Arizona Wings-N-Stings LLC is a certified installer or can install any of the products for companies like: Bird Barrier America, Bird B Gone, Hot Foot America, BirdBlaster, Flybye, Force Fog, BirdBuffer, OvoControl P and many others.